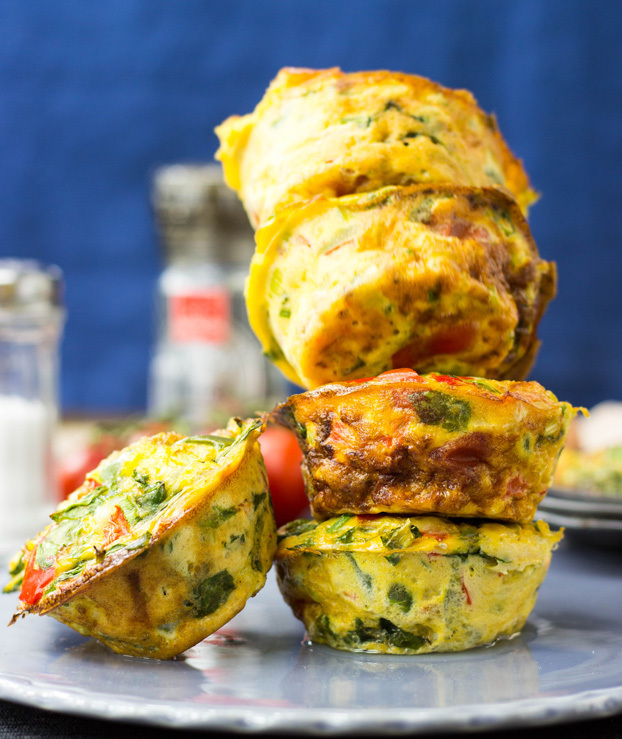 I'm a big fan of "egg muffins," they make the perfect grab-and-go breakfast for busy mornings and you can pack them with whatever vege you've got in the fridge - fresh or leftover. I love making a muffin tin or two full of them and differentiating the ingredients for a variety (no one likes the same breakfast every morning!). Healthy vegetables like mushrooms, spinach, kale, zucchini, sweet bell peppers, onions, and tomatoes, as well as leftover proteins like roast chicken and quinoa are delicious when added to the assortment. Sometimes I top the muffins with a bit of goat cheese, feta, or a good sharp Cheddar cheese. Bake them up, let them cool, then pop them in the freezer for quick breakfasts or for an after school snack. 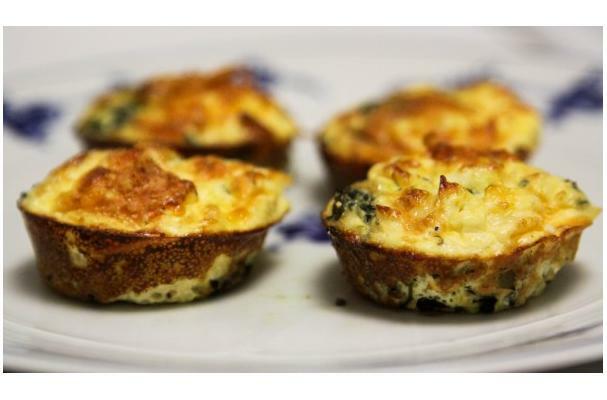 Also check out the Mini Frittatas with Quinoa and the Mini Spinach and Feta Quiches (crustless!) below. Howie from Hurry the Food Up recommends doubling the batch to make a full dozen. 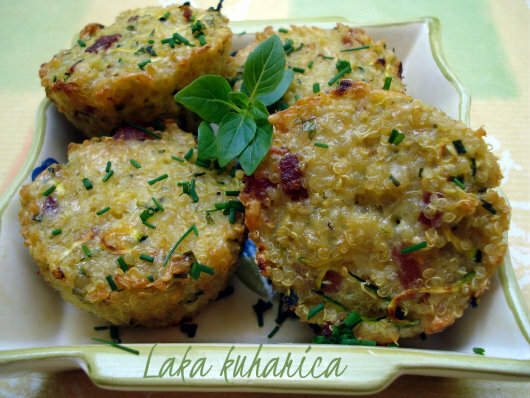 These delicious little muffins are a great way to use up leftover quinoa, just add eggs and egg whites, zucchini, Swiss and Parmesan cheeses, ham, and parsley then season with salt and pepper. Recipe here. I love these crustless little quiches for any meal of the day! Eggs, frozen spinach, half and half (or milk), garlic and onions, fresh basil, and Cheddar and feta cheeses make up these tasty bundles. Recipe here.